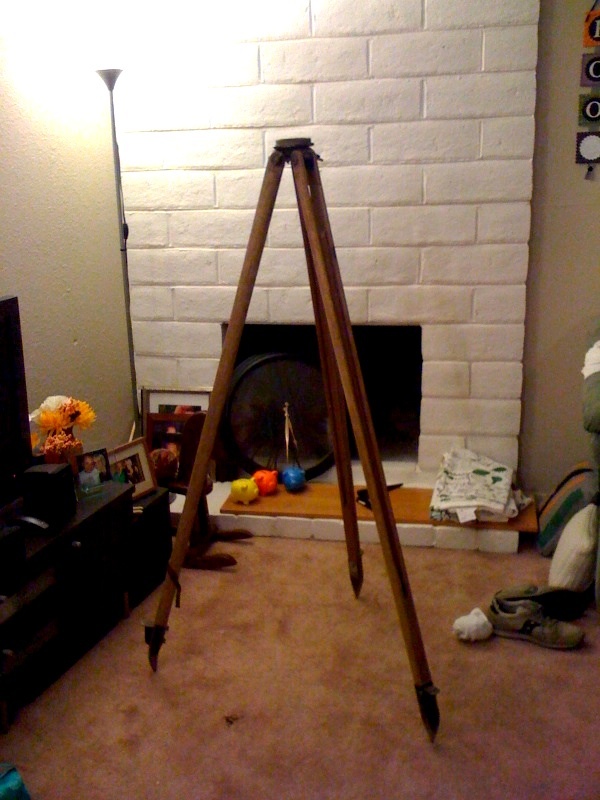 I was over at my parents tonight and Saw a tripod in my dad's workshop. I asked him where he got it and he said a garage sale a few years ago. I said, you know, people make some pretty cool lamps out of those. He got very excited and asked me if I wanted one because he had an extra. It was in his "bones pile." He told me this used to be my Grandpa's tripod for his old video camera! I was so excited to bring it home... I am going to sand it, polish the hardware, and paint the feet and mount a lamp on it! It will be a super awesome addition to our home, whatever room it ends up in. Unfortunately it did already try to kill me. I leaned it against the car to load it and it slid off and fell directly on my head! I saw stars for a few seconds before I realized what happened. When I told Chase he was very concerned... about the car! He asked me if the car was scratched... thanks a lot! 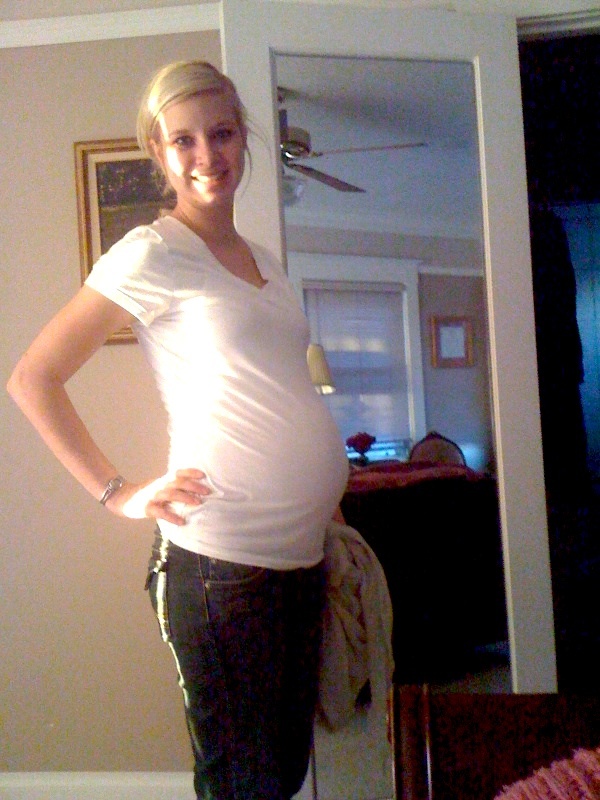 I hit 31 weeks on Monday and the time is just flying by! My hours were finally cut down at work and I'm ready to start some serious nesting. It's hard because every day there seems to be something more pressing then the procrastinated projects... I still have about 2 months though, hopefully the upcoming holidays don't eat up all my time!